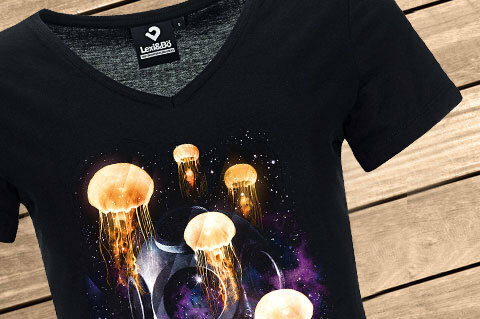 Details "Diver in space women v-neck t-shirt"
Our Lexi&Bö "Diver in Space" design for women in black is out of this world. 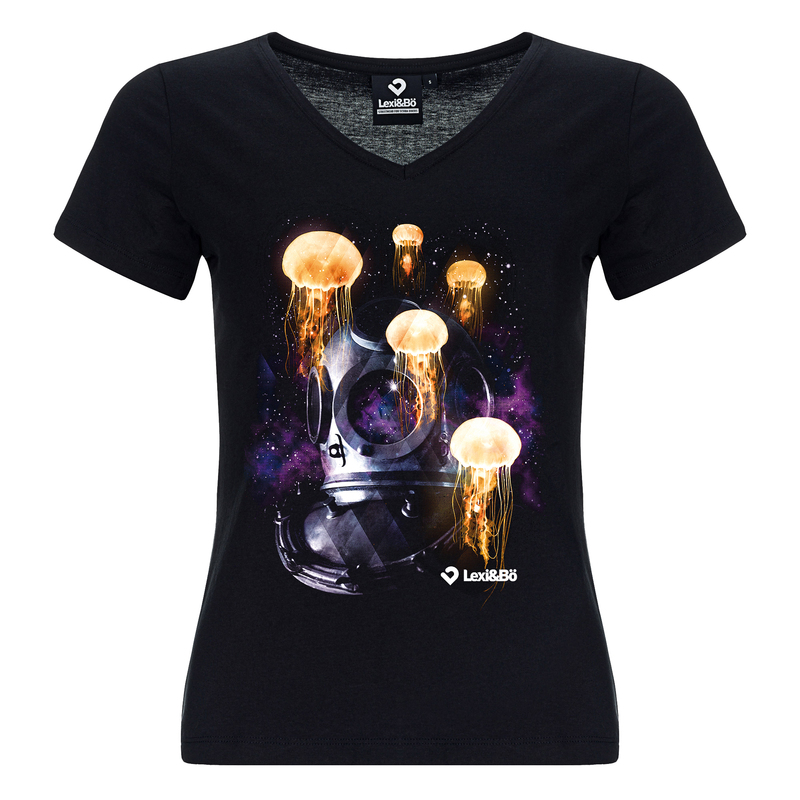 The unique design with the diving helmet in space, surrounded by glowing jellyfish is just right for those who like spacey and unusual designs. 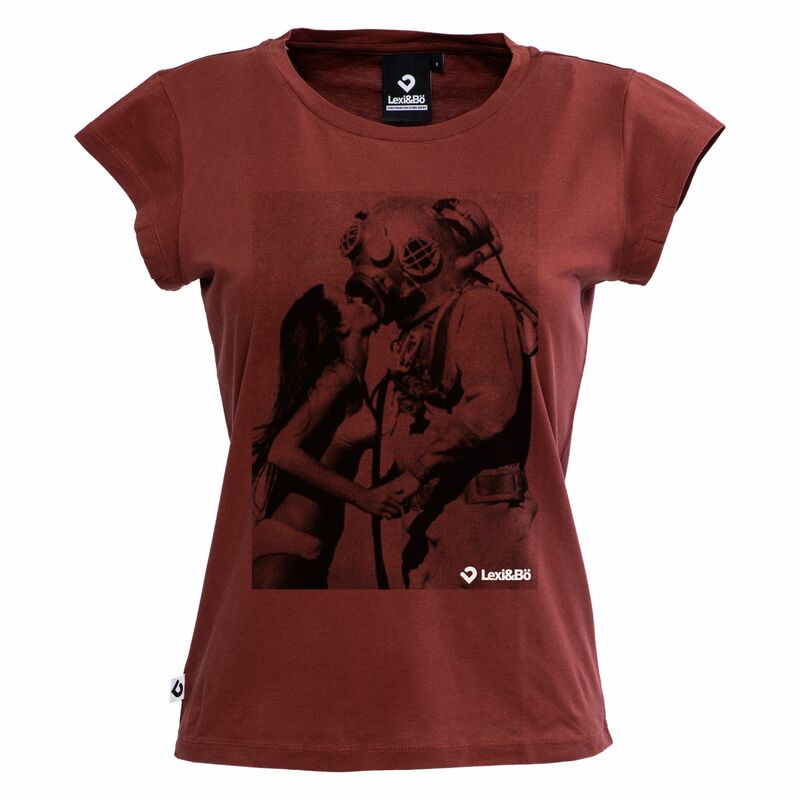 In addition to the design also convinces the wearing comfort. 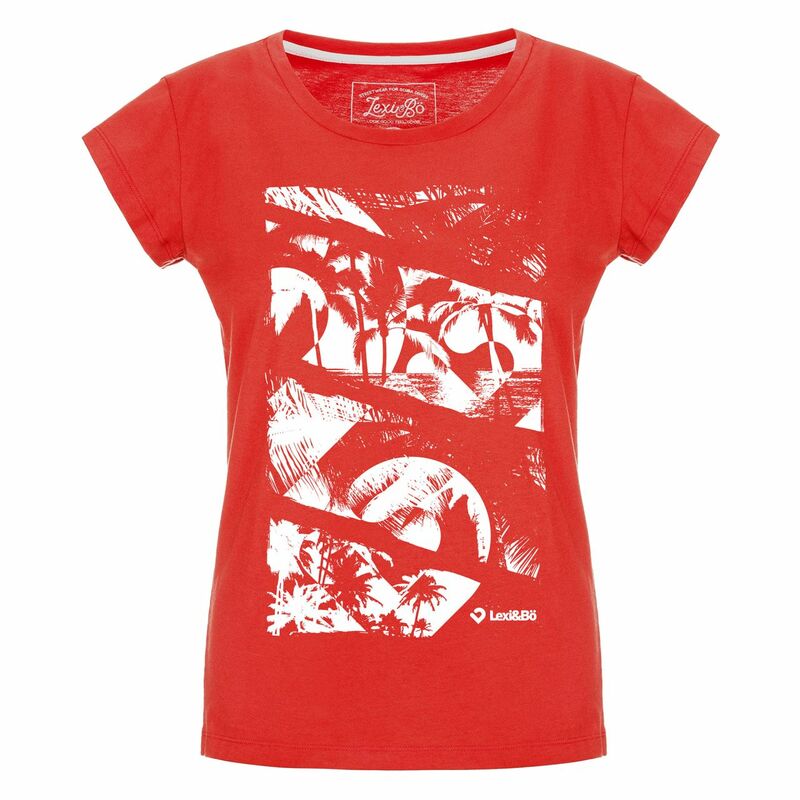 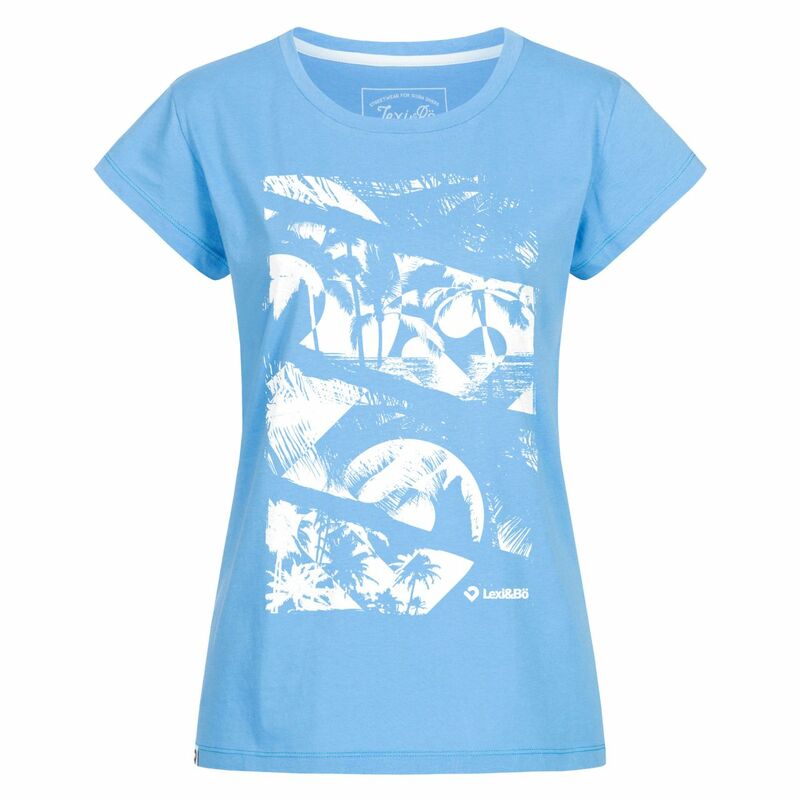 The loose-fitting cut feels particularly soft and comfortable thanks to the 100% organic cotton. 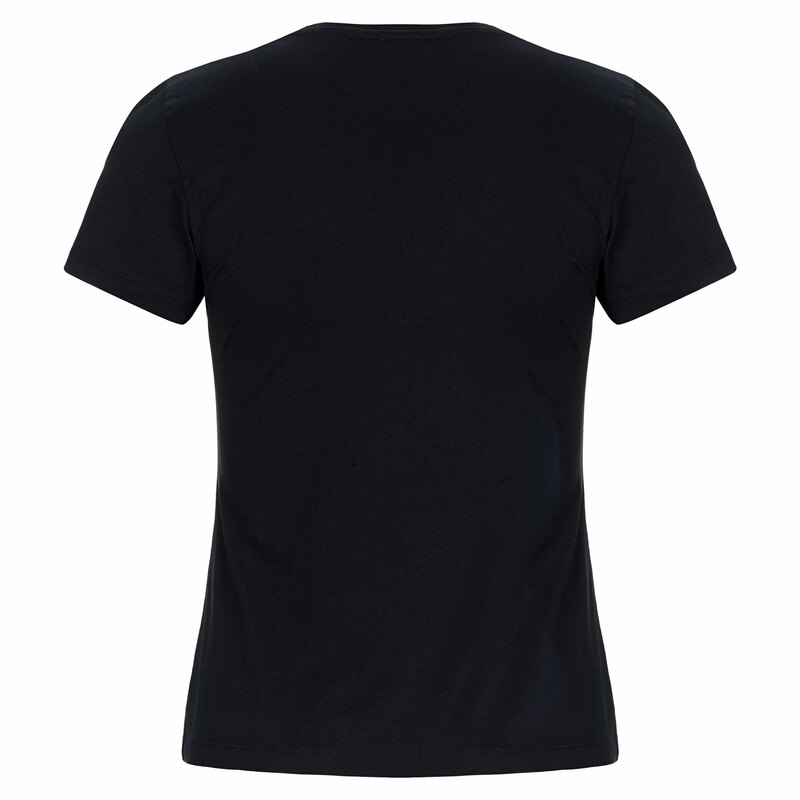 The V-neck shirt is a bit shorter. 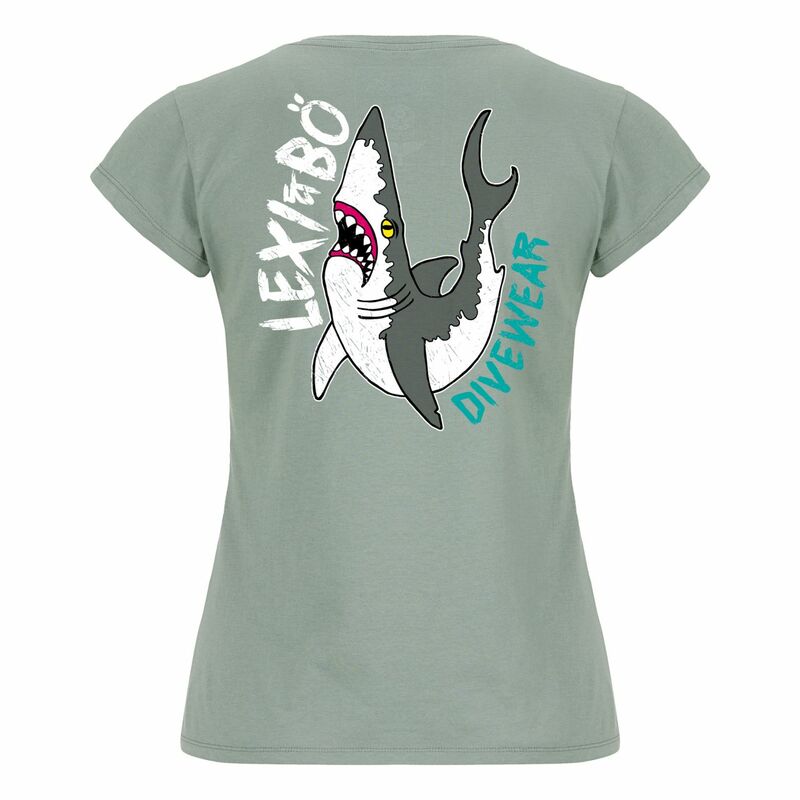 The 120g / m² thick and high quality fabric is free of any chemicals and the Diver in Space - Front Print is by its water-based color gentle to the environment and to your skin. 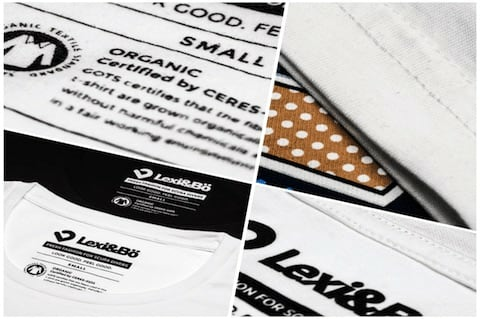 Our Lexi & Bö brand label is located on the side seam and neck. 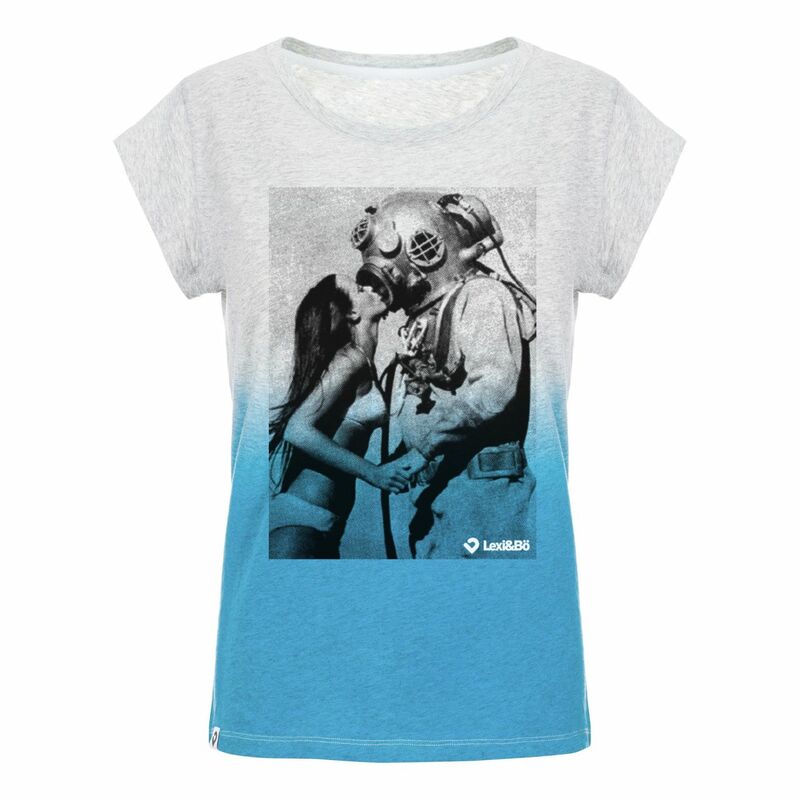 Customer evaluation for "Diver in space women v-neck t-shirt"